A few years ago Consumer Cellular conducted a survey of its own customers and found that rather than extra features like web surfing or text messages, the most important features were high-quality service at a reasonable price. So that is what they’ve focused on until recently, and they have been very successful by offering no-contract plans, attractive phones and reasonable prices. Extra services such as text messaging and web surfing are available as add-on packages if you want them. As smartphones have taken over, they have adjusted to meet this demand by offering iPhone and Android handsets. Consumer Cellular is the exclusive cell phone provider for the AARP. If you are already a member, you get a 5% discount on your phones and service and a 30% discount on accessories. In fact, if you sign up for their $30 a month plan, then just the discount would pay for a year’s membership, making you eligible for other discounts as well. If you are not a member, you can sign up for a membership right there. Good Sam RV Club is also a partner, and their members get savings although specific discounts are not listed. You can contact them and request the discounts offered to either AARP or AAA members. There is a street-level coverage viewer available, but when you look closer, you can see that the viewer is actually provided by AT&T and so is the actual coverage. The good news is that if AT&T has good coverage in your area, you're all set. The interesting thing is that in contrast to AT&T which often gets low ratings on customer satisfaction, the Oregon-based company achieved the highest ratings overall in a 2011 survey. You can get a standard paper bill every month. You don't have to keep buying airtime refill cards as you might with a prepaid phone. Because there's no contract, you can cancel at any time without any termination fees. You can also change your plan at any time. 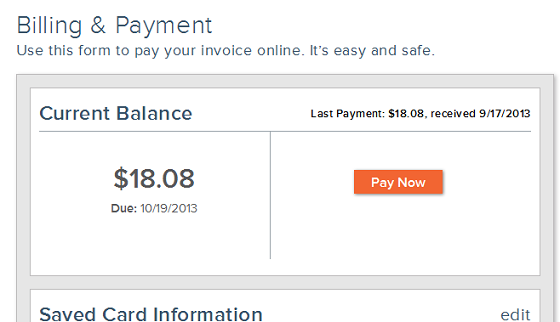 Once you're a customer, you can pay your bills online and get your bill notifications by email. In ads, rates are advertised as being as low as $10 a month. It’s true that their Anywhere Casual plan costs just that. If you use your phone only for emergencies but want to make sure you have an active phone, then you can opt for their $10 a month service. For actual calls, 25 cents is added to your bill for each minute. If you talk for 20 minutes in one month, $5 will be added to your bill for a total of $15 plus taxes and fees. If you make a lot of calls, you will pay more than you expected. But don’t worry, you can always change your plan to one that includes a set of minutes. When you choose a $15, $20, $30, or $40 a month plan, you get 250 to 3500 minutes a month. Additional minutes cost 25 cents each. For $50 a month you get unlimited voice minutes. You can combine your minutes into a family plan by paying $10 per line. This plan also gives you free in-account calling (calls between members who share the plan). There is one standard set of monthly minutes and one rate for additional minutes. There are no features like free night and weekend minutes. With other plans, even prepaid plans from Verizon, AT&T and T-Mobile, you can sometimes get some form of night and weekend minutes free, but at a higher monthly cost. On the other hand, if you mainly want to simplify and control your cell phone costs then this could be for you. Unused minutes in a month do not rollover to the next month. However, if you find that you don't use all your minutes, you can always switch down to a smaller plan. You also get usage alerts before you go over your limit, so you can decide if you want to upgrade. The GreatCall company focuses on keeping their customers "safe and connected" with easy to use phones and services. The LG 440g is a regular flip phone, but it has a senior mode. Another nice feature is text-to-speech for listening to your text messages.